Since the partial government shutdown began three weeks ago, visitors to the national parks have been greeted by empty fee stations and red-lettered notices posted to entrance gates. While many national parks, including Shenandoah and the Great Smoky Mountains, remain open to the public, National Park Service (NPS) personnel have been furloughed and thereby unable to provide guidance, assistance, maintenance, or emergency response. The parks have shuttered their information centers, locked the restrooms, closed the campgrounds, and left the public to its own devices. While the Park Service employs approximately 20,000 people, the reduction in staff leaves only 3,298 essential personnel remaining to manage 80 million acres of national park property. 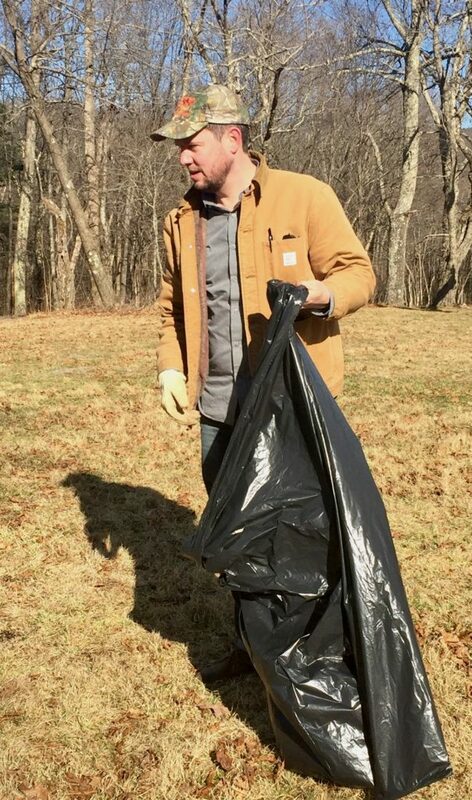 Across the country, national parks have suffered overflowing trash cans, inordinate amounts of litter and human feces, illegal off-roading, vandalism, and destruction of precious natural resources. 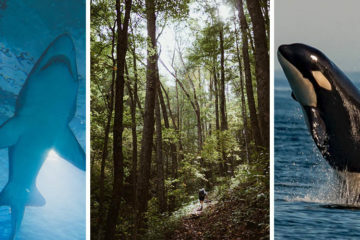 The Department of the Interior’s Contingency Plan instructs the few remaining park rangers and law enforcement officers to take a “reactive rather than proactive posture.” Without warnings and supervision from experienced park staff, visitors expose themselves to serious dangers in the untamed wild. Three hikers have died in the national parks since the shutdown, at least one of which may have been prevented by the guidance of seasoned staff and timely emergency response. November and December of last year bore particularly brutal weather in the Blue Ridge mountains, leaving damage and debris still untended. In mid-November, an ice storm in Augusta County, VA took down hundreds of mature trees from the crushing weight of nearly half an inch of ice accumulation. Thousands of residents endured power outages for more than three days, but the destruction and damage have endured far longer. 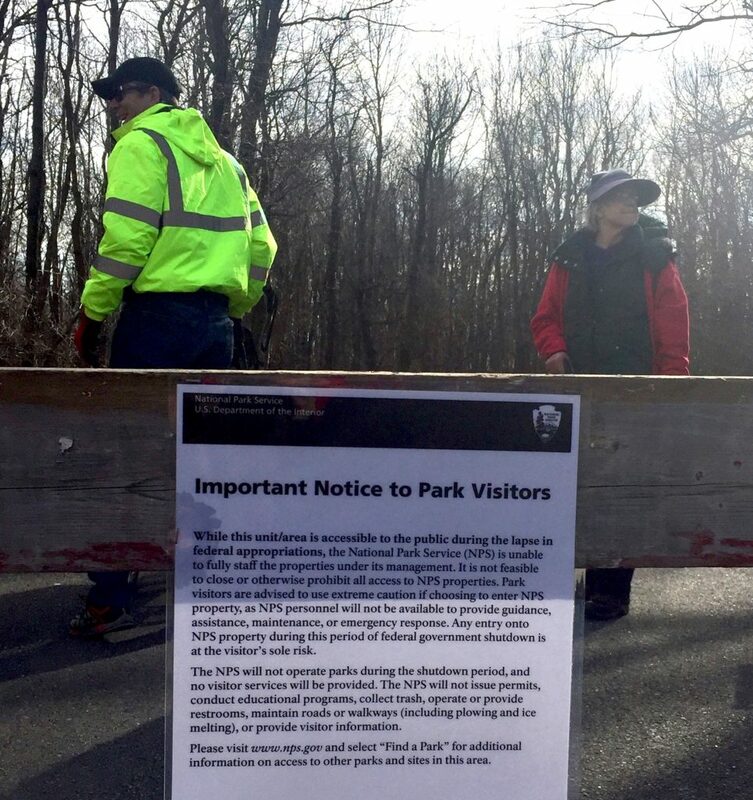 The majority of the Blue Ridge Parkway and the 40-mile stretch from the south entrance of Shenandoah National Park have remained closed and gated for over two months. Sadly, in some parks the damages from unrestricted activity and cost to human life are irrevocable. The bipartisan National Parks Conservation Association stated in a press release, “NPCA believes it is not only reckless to keep national parks open without adequate staffing, it endangers lives and is illegal.” They encourage people to consider waiting until the parks are staffed and safe before visiting but urge those who do visit to be alert to their safety and to exercise extreme vigilance in protecting and preserving park resources. determined to protect and maintain our beloved Blue Ridge Mountains. 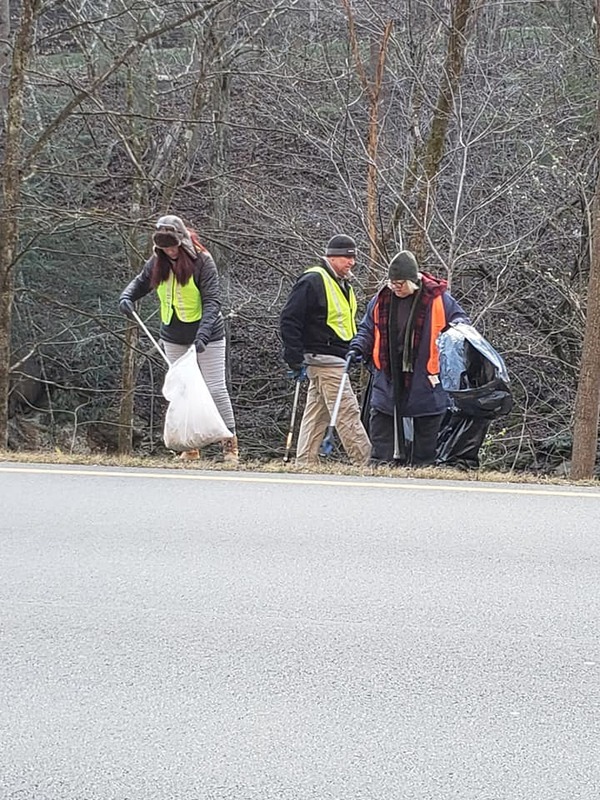 On January 10, the environmental non-profit Keep Sevier Beautiful organized 100 volunteers to pick up trash along the Spur, a heavily trafficked road in the GSMNP. 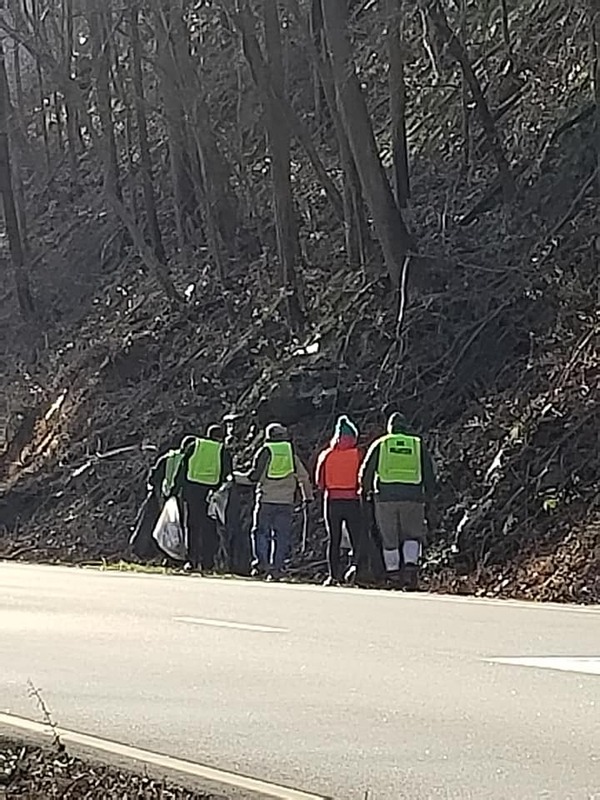 Alleyn Harned, Executive Director of Virginia Clean Cities, organized a clean-up with twelve volunteers to pick up litter and trash along 14 miles of Skyline Drive in SNP. 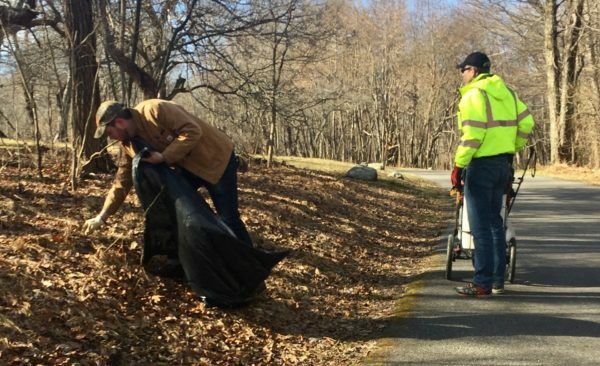 In collaboration with Keep Virginia Beautiful, a non-profit dedicated to improving Virginia’s natural and scenic environment, Harned and volunteers emptied overflowing trash bins and collected litter in baby strollers they had modified to carry and wheel away debris. 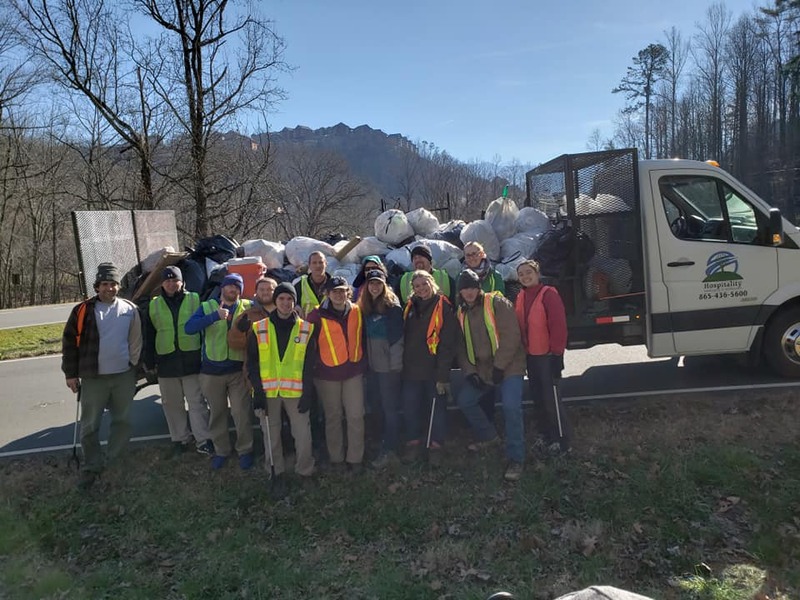 Like SNP and GSMNP, many parks have resorted to creative measures to finance maintenance and cleanup in the parks through help from local municipalities, non-profits, and private concessions. But clearly, this is not sufficient. On January 6, the Interior Department announced it would dip into the park’s fund of visitor fees to manage immediate costs. These fees are usually used for maintenance projects, visitor services, wildlife habitat projects, law enforcement, and recreation projects. This decision is met with controversy. The NPS is unable to collect more entrance fees during the shutdown and their $6 billion maintenance backlog continues to grow larger every day. 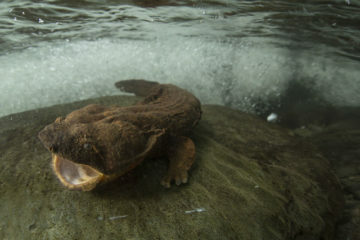 The NPCA slammed the current administration, stating that this policy decision is inefficient and puts pressure on an already struggling agency. The financial toll of the shutdown extends beyond the national park itself, but also impacts local economies. communities and had a cumulative benefit to the local economy of $126 million. GSMNP supports over 10,000 jobs and reaps $734 million per year. The BRP supports over 15,000 jobs in the region having a cumulative impact to local economies of $1 billion. 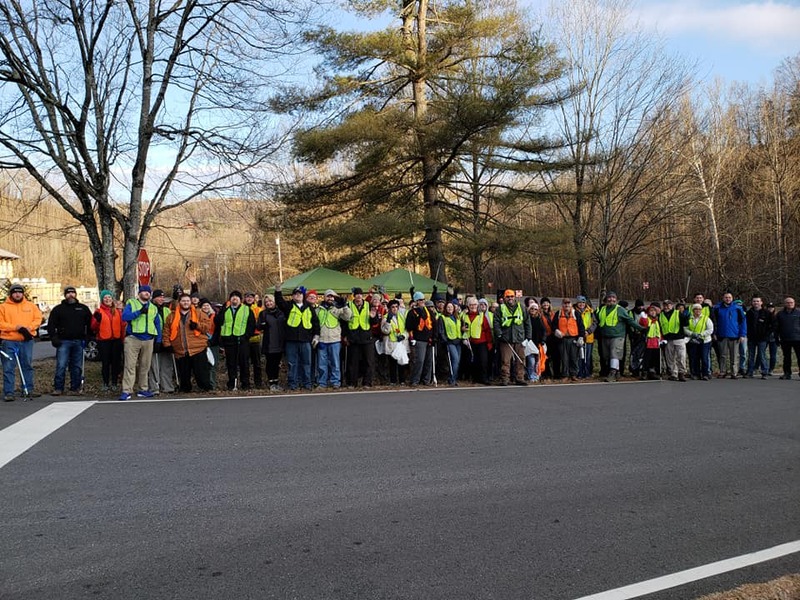 As far removed as the actions of Congress may appear, it is impossible to ignore the fact that this shutdown affects every person with the Blue Ridge Mountains on their horizon. When the government shutdown is finally over and the NPS is fully operational once again, the damage will take effort and time to repair. Volunteers will be in high demand and the onus of work will be considerable. Now it is simply a matter of waiting and hoping for an end to this strange anarchy.